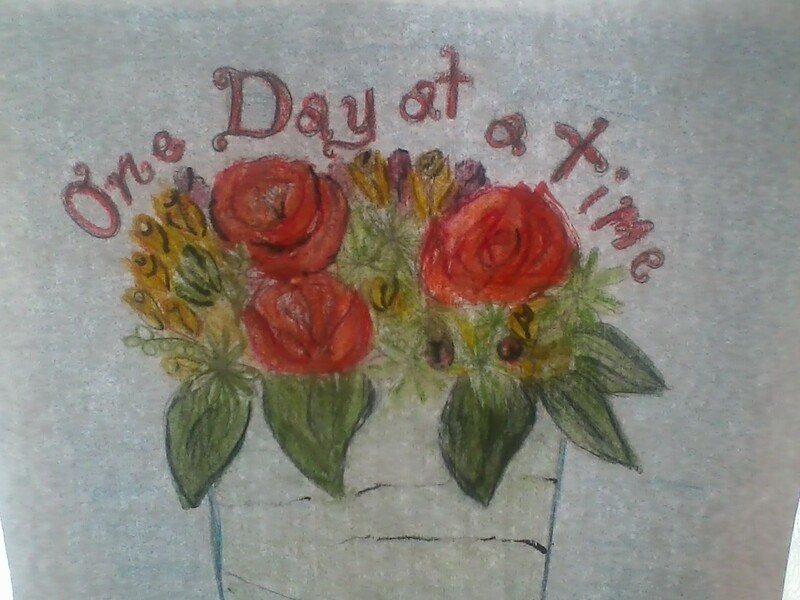 “One day at a time – this is enough. Do not look back and grieve over the past for it is gone; and do not be troubled about the future for it has not yet come. Live in the present, and make it so beautiful. It will be worth remembering.” ~ Unknown. Sometimes in life, we come to stages of time where we have never been before. And it is in these times where we might not be exactly sure where to go from here. The image of the Israelites walking in thousands across the wilderness comes to mind. They had no way of knowing where the next water supply would be. All they knew was that there was a Pillar of Cloud in the day and a Pillar of Fire in the night that they were to follow. When we come to these stages of life, we all need to slow down and take one day at a time. My dear single sisters, maybe you can’t see where or when God will bring the right one into your life. One day at a time. Maybe you are a planning like me and would like to know where God wants you to live, or where he wants you to work? Again dear sister, one day at a time, and while your living that one day at a time, Trust! Trust, Trust the LORD! I am amazed at God’s goodness. I read this verse in my devotions: “If ye then, being evil, know how to give good gifts unto your children, how much more shall your Father which is in heaven give good things to them that ask him?” ~ Matthew 7:11. I cannot stress enough how perfect God’s will is, and how it is never our ideal! But oh, how much sweeter and better it is. “Now unto him that is able to do exceeding abundantly above all that we ask or think, according to the power that worketh in us.” ~ Ephesians 3:20. I know we all know this verse and have heard a thousand times. But when we are in the midst of that trial or when we are feeling we will never leave the stage of singleness. Hearing this verse doesn’t really seem realistic now does it? I want to share something I wrote in my Bible back in August of 2010, I hope it will encourage all my dear single friends. God has been working in my life, but before He could work I had to get to this point in my life when this thought was in my heart: Singleness is not a curse but a blessing. It’s not a trial or a hurting. It’s not God’s punishment and it’s not God’s judgment. God gives everyone a season of time to wait on Him. We all are asked to wait, trust, and rest in God’s goodness. Paul stated that singleness is to be used for the LORD, not spent in self pity or in day dreams of what ifs and what should have been. “To every time there is a purpose.” Elizabeth Eliot asked God the question “How long will I be single, Lord?” God’s answer “Trust me, dear child.” My friends are you willing to trust God and rest in His answer? One day at a time. “Stand still and let God move, standing still is hard to do. When you feel you have reached the end, He’ll make a way for you. Stand still and let God move.” What a beautiful song. God does make a way, my dear friends. He makes a way for those who are single. He makes a way for those who are married without children. He makes a way for those who are married with children. He makes a way for the widows, the elderly, and the parents who have lost a child. He makes a way! I do not know what stage of life you are in. But dear friend, for all of us in every stage, we need to take one day at a time and trust the LORD with the rest. God’s got it. He allows things in our lives not to destroy us but to mold us towards His image. “My child, it is not wisdom I require of thee, it sufficeth if thou lovest Me well.” ~ Gold Dust 1880. God wants us to Trust Him and Love Him with our whole heart. He is truly perfectly good with no maliciousness. And I cannot emphasize enough His will is so perfect!